There is perhaps no gemstone or jewelry addition as beloved as diamonds—and, when it comes to wedding bands, diamond wedding bands are among the most popular choice for brides-to-be. Diamond wedding bands are both stylish and stunning, suiting absolutely any type of engagement ring and any taste. Whether pave and surrounded with diamonds or statement-making with sizeable stones, a ring meant to symbolize your union and your love is captivating with diamonds. Celebrate your marriage with this selection of diamond wedding bands at Michigan’s Medawar Jewelers and find a piece of heirloom jewelry that will wow forever. 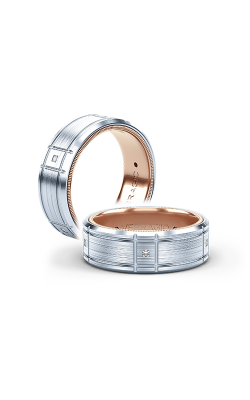 Medawar Jewelers is home to diamond wedding bands that exceed expectations. 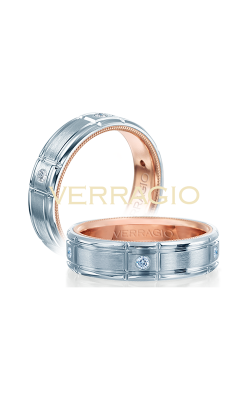 From traditional and modern to delicate and vivid, we offer every type of band imaginable. As an authorized retailer of brands like Parade, Tacori, Danhov, Verragio, and many more famed wedding band designers, each and every one of our rings is authentic and high quality. Capture the love shared on your wedding day as well as your own personal style in a single ring by selecting a diamond wedding band that’s beautiful and symbolic, meaningful and sparkling every time it catches your eyes. 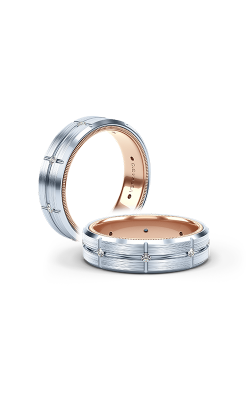 An absolute classic is the thin pave diamond wedding band—and designs like Benchmark. Featuring both men’s and women’s diamond wedding bands, their pieces are traditional as well as beautiful. For a mix of glamour and sparkle, options like designer Kirk Kara combines diamonds with specially shaped bands to add a little difference to a classic ring style. If you prefer a wedding band that stands out in its own manner, one of the dramatic and unique look to designers like Verragio and Parade meant to draw attention with a mix of different diamonds and metals. As you begin your search for the right diamond wedding band, explore all the Medawar Jewelers has to offer. With more than 80 years of experience in jewelry and timepieces, Medawar Jewelers is renowned for its exquisite heirloom jewelry, exceptional watches, and expansive inventory selection. At Medawar Jewelers, your shopping experience and satisfaction are our utmost priority. Visit one of our Medawar Jewelers’ locations—West Lansing, Okemos, Jackson, Portage, or Brighton—and discover the many different diamond wedding bands available to choose your dream ring.